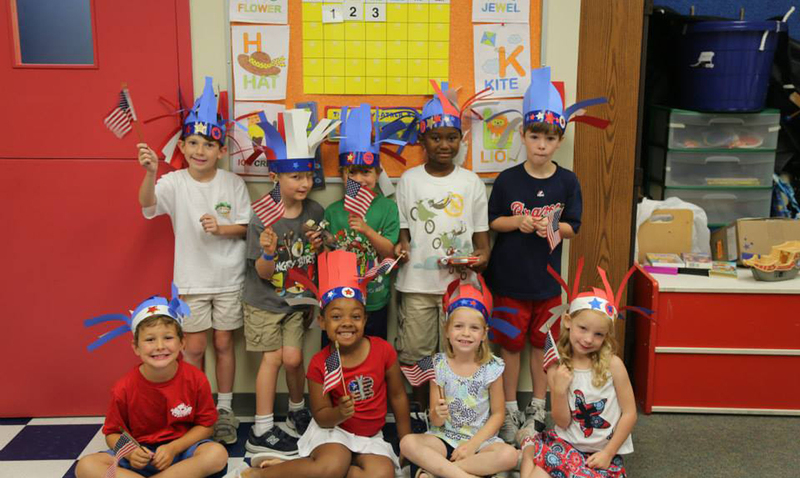 After School students celebrate Independence Day! A quality, nurturing After School program is available Monday through Friday for currently enrolled students through eighth grade. A summer program is also available and offered each year. Our After School staff consists primarily of Jackson Academy teachers and assistant teachers. To view and download information about after school programs or the summer program, visit the Parents Tab on the upper right side of the page or click here.